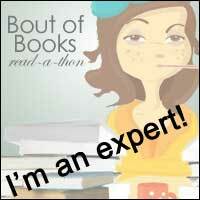 Warning: this is a review of book 4 in a series so this review may contain spoilers! 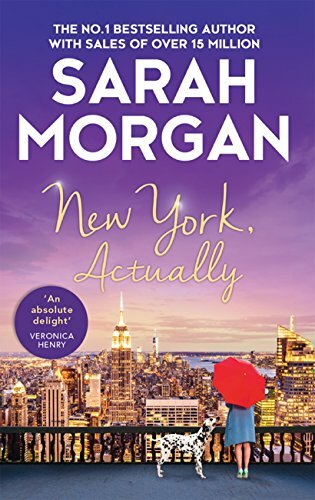 Review: This is book 4 in the From Manhattan With Love Series from Sarah Morgan. I have read and loved the previous three books in this series, and so I was delighted to find out that there was more. I actually purchased this one as an audiobook that was my companion on a car journey. It certainly kept me entertained and was just as enjoyable as the preceding books. In this story, Sarah Morgan has cleverly introduced new characters who slot in nicely alongside those we have met in previous books in this series. However, everything is made clear as we go along, so the book can be read as a standalone. 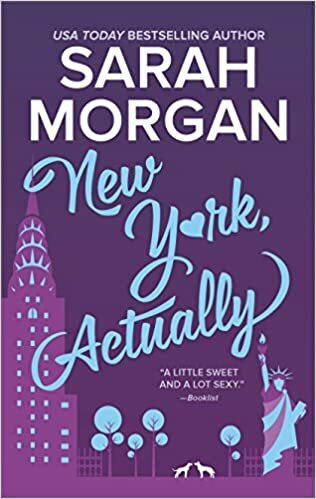 The story centres on Daniel, a divorce lawyer of some standing in Manhattan, and Molly, a relationship advisor originating from the UK. Molly, writing as Aggie, has a popular blog and has written a best-selling book on relationships. However, there is a secret in her past that led to her move to New York. The pair are brought together while walking dogs in Central Park. There is incredible attraction between them, but will their opposing views on relationships cause some friction to develop? I really liked the new characters in this story, especially Molly. It was interesting finding out what catastrophic event had caused her move across the Atlantic. I found Daniel pretty unlikeable to start with, but warmed to him as the story progressed and felt that I would be glad to have him on my side in times of trouble. I particularly enjoyed the suspense of waiting to see what would happen if and when Daniel discovered that Molly was the agony aunt he despised. Of course, it was also good to meet up with old friends from Sarah's previous stories. I think that this book would appeal to a whole range of readers. It has it all, including romance, humour, a cast of strong and interesting characters and, importantly, gorgeous, cuddly dogs. I'm really looking forward to reading the next book in this series and finding out what's going to happen to the characters I've got to know so far.